Well, we made it home from sunny Mexico last night. First off a big Thank You to Casey, Kaitlyn, Natasha, Jane and Meg for holding down the blog with their wonderful guest posts last week. While I go through the 500+ photos we snapped here's a little teaser. Now for the Cara Box swap + reveal details! 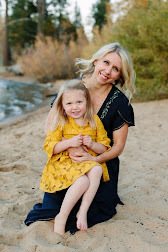 This month I was partnered with Angela from Selfless Ambition & Claudia from Sweet Little Momma. I got to know Angela and sent her a few treats (to see the goodies I sent, check out her blog here). Claudia got to know me and created a special package to keep me going with my 2013 “resolutions,” the theme for January. She’s a new mom and new to blogging! There's something about receiving mail that brings a smile to my face. I love handwritten notes and part of the exchange is to include a written a letter of encouragement. Love it! I shared with Claudia how I wanted to get more into photography and bought a new camera, how I love traveling however slowed down since purchasing a house and want to travel more and of course more DIYing. She put together some hot coco packs for Mr. and I. So tasty! A frame for a photo. Maybe one from our honeymoon?! A recordable photo album - very cool! One can never have enough sunscreen. ..... and the best smelling candle (beachside)! Makes me want to head to a tropical island! Thank you Claudia, I loved everything! Sounds like you had a wonderful time! Looks like you got some great items this month. I also participated this month! Check out my box reveal post if you get the chance! xo!